Tokaido is the road connecting Tokyo and Kyoto in the Edo period. 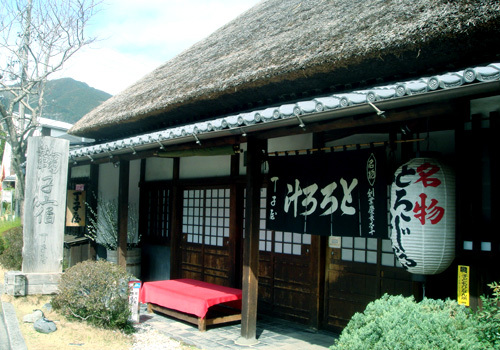 The name of the Tokaido is used as the name of the current bullet train.In Tokaido,the 53 post stations were established as accommodations for travelers to pass.Mariko-juku in Shizuoka Prefecture is one of the post town of Tokaido also. 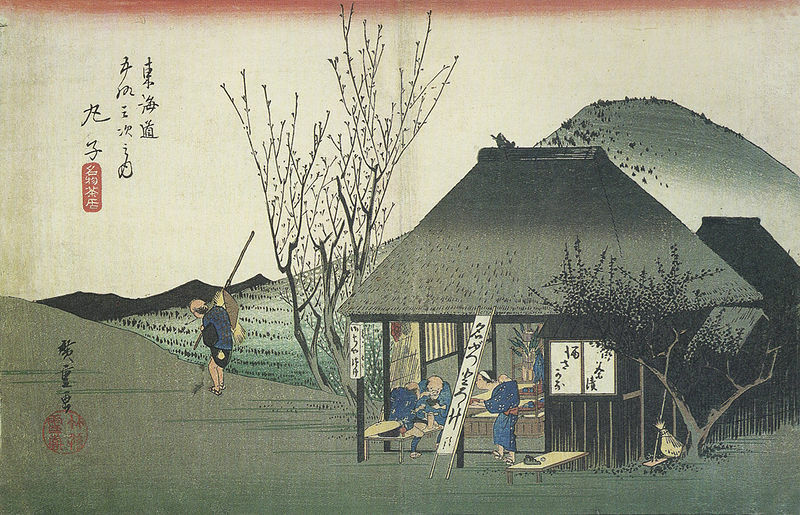 The image above is a Ukiyo-e of Ando Hiroshige in the Edo period. The small house drawn in this painting is the cafe called Chojiya,yam soup is the specialties of here. The image below is the current Chojiya. In the same way as the Edo period, you can still eat the yam soup. 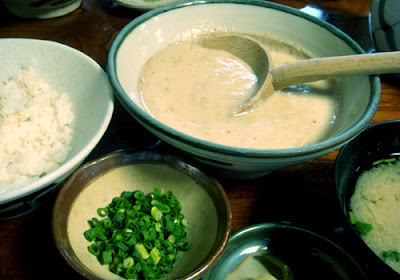 Yam soup is cooking with miso soup and beaten grated yam. Yam soup is eaten during cooked rice. Foreigners may feel strange for its weird slimy texture of yam, but almost of Japanese love it.